A big plant from Specks. 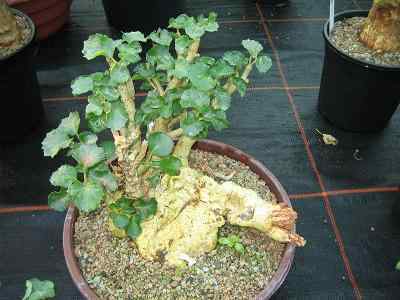 This member of the Moraceae family was described by John Jacob Lavranos in 1972. 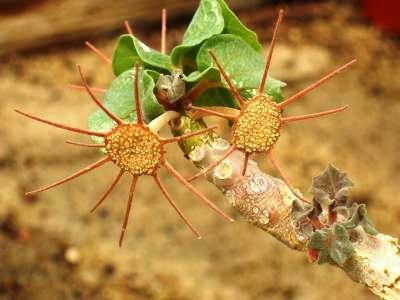 It is only found in a small area in Somalia, growing in pure gypsum with some water and lots of sun. 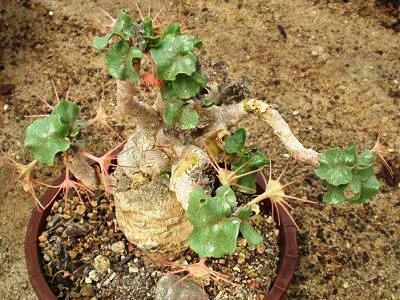 It will receive little water in winter, and the branches might dry out. The stem will grow up to 50 centimetres in diameter and 2,5 meters high. The flowers are light brown, and seeds are the only way of reproducing.